A common misconception is that you have to graduate from freshwater to saltwater. This is of course not true, as a freshwater species aquarium can be as challenging as a reef set-up, or as easy. Knowledge is once again the key to a successful start and the more information you have the more fun you will get out of the hobby. Another fairy tale is that saltwater requires a larger tank than freshwater. 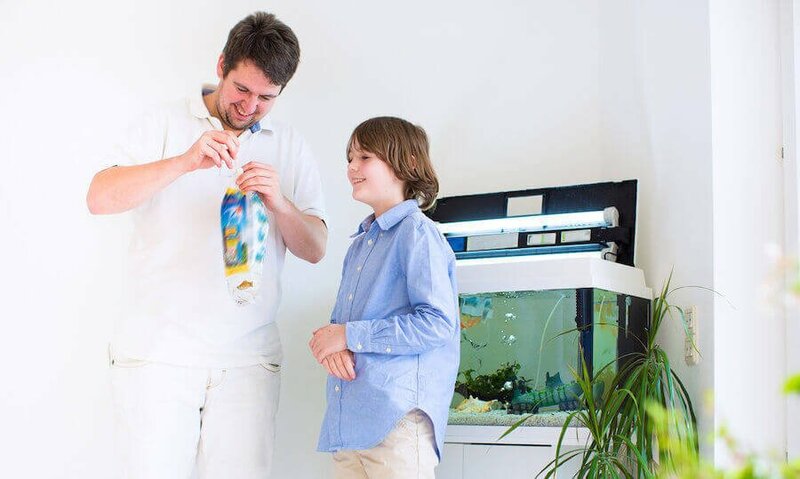 This is not so, a larger aquarium is generally easier to maintain than a small tank. Just picture nature as the ultimate Eco system. Any aquarium you set up is a copy and the smaller the copy the more difficult it gets to maintain and to provide a healthy and balanced environment. Saltwater aquariums do not have to be expensive either. Despite the fact that most saltwater species are on the more expensive side, it does not imply that you can’t start out with “cheaper” fish. 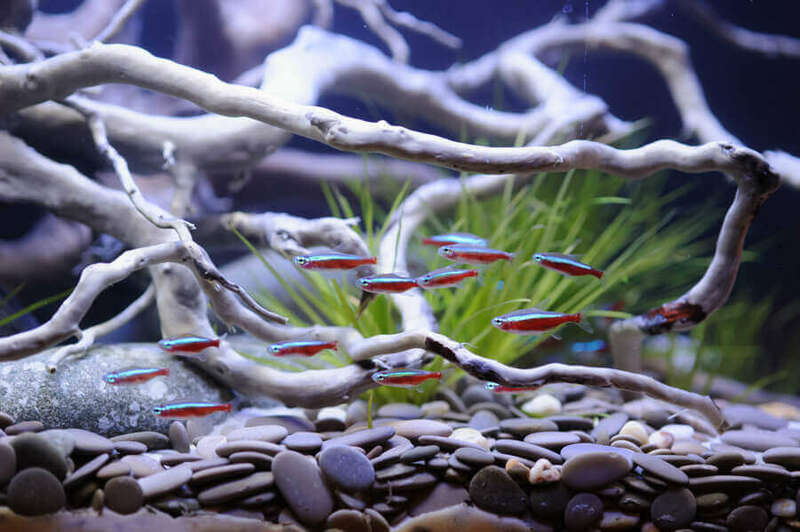 The more you get into additional equipment the more expensive it gets, but the same applies to a freshwater aquarium. Freshwater and saltwater, including live rock, can be compared by size and cost. The exemption is a reef set-up, where the lighting system alone can easily cost as much as a fish only tank. As you are fired up by now, we will take a look on what equipment you can use in converting a freshwater into a saltwater aquarium. The tank itself can be used as is. There are no special aquariums that differ in fresh or saltwater set-ups. It is advisable to clean the tank with a sponge or filter floss with water only. Household chemicals do contain substances that are detrimental to the system. 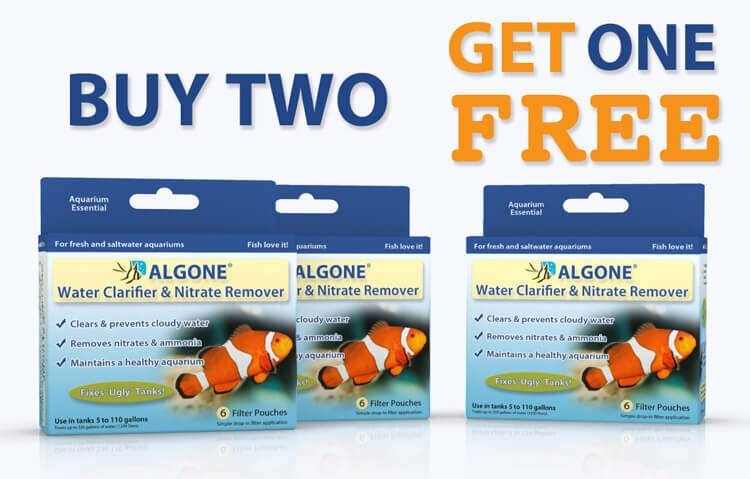 The original filtration can be used in the new saltwater aquarium as well. Later on in time, especially if live rock and more animals are added, a change in filter type might be justified. In this case a trickle filter or a protein skimmer can be added. One exception would be the undergravel filter. As explained further down, sand is the preferred choice of a saltwater aquarium and this kind of filter will simply clog up. 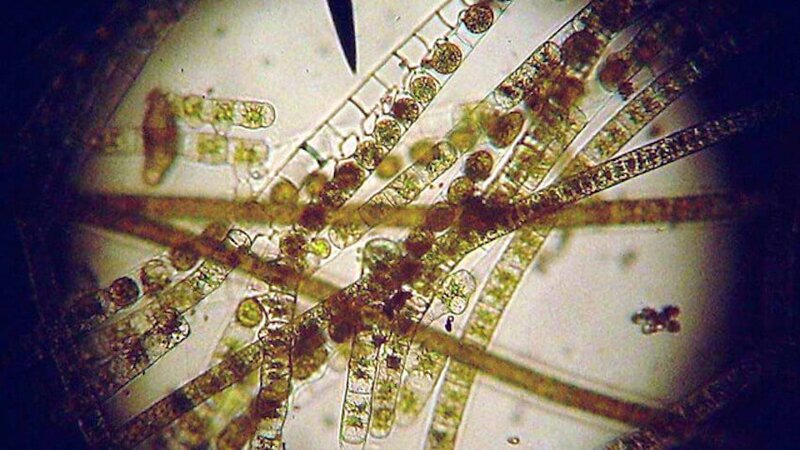 The nitrifying bacteria in fresh and salt water are closely related, but slightly different. The freshwater bacteria are good for spiking a brackish tank, but a different strain of bacteria needs to colonize saltwater aquariums. Seeding aquariums with freshwater bacteria will speed up the process of cycling the new saltwater tank nonetheless. The tubing, heater, and air pumps from the freshwater tank can be used in the new saltwater tank. If cleaning is needed, water only is the way to go. 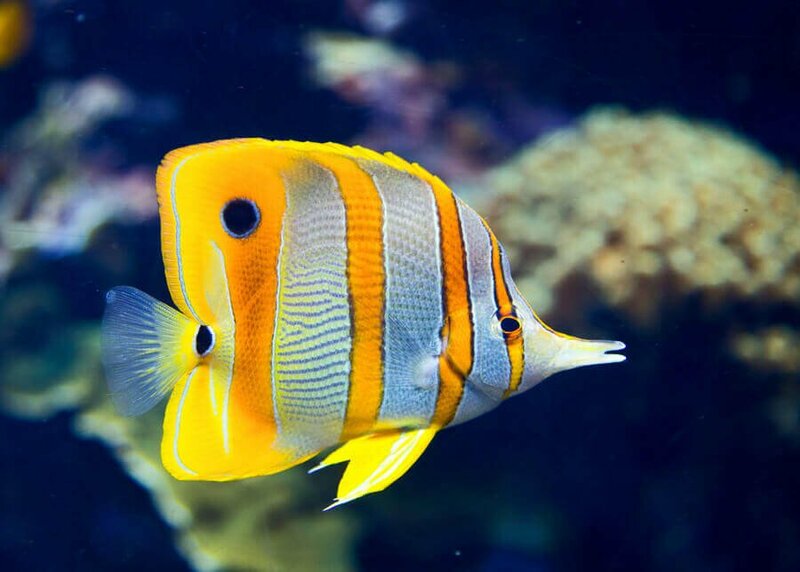 Plastic plants and décor should not be used in a saltwater tank. Most saltwater fish nibble on everything they can get a hold on. The new decoration can include live rock, rocks, or fake corals in the beginning. The substrate for saltwater should either be sand, crushed corals, or aragonite. The substrate in saltwaterdoes not only provide biological filtration as in freshwater, but also as a home for many animals that might be added over time i.e. crabs. Crushed corals and aragonite will keep the pH stable as well as provide calcium for a later update to a reef system. Should sand have been used in the freshwater set-up, it can be used for the saltwater tank. At this early stage the regular fluorescent light will be fine. To enhance the color of the fish, one might be replaced with an actinic bulb. Lighting will get more important with a reef tank later on if desired. Freshwater test kits can not be used in saltwater and have to be replaced by saltwater test kits. In addition to the above, a saltwater mix and a hydrometer to measure salinity will be required. For the first batch of saltwater, fresh water should be used instead of just mixing salt into the tank. 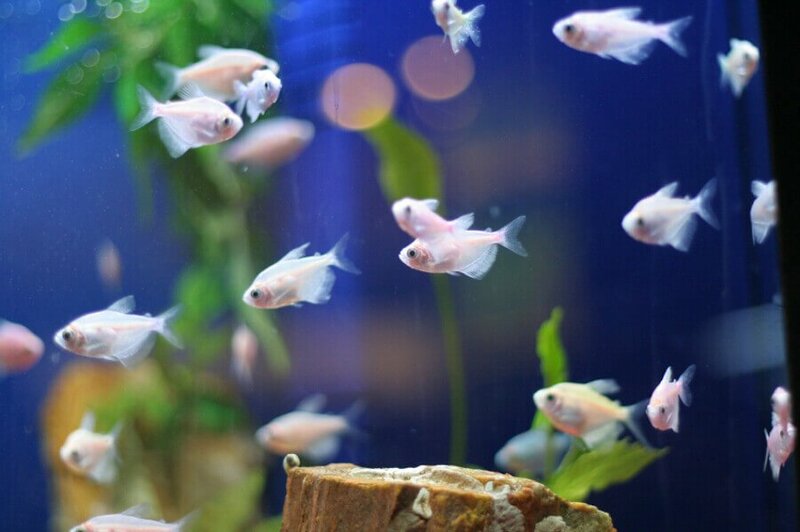 The maintenance schedule for cleaning the tank and water changes remains the same as in freshwater. For most tanks, all there is to it is to replace the gravel, remove and replace the décor and to add water with the seawater mix. Most of the additives can be used as well, such as a water conditioner and Algone. Some additives are specifically made for saltwater, so check the labels on the packaging before using them. Any products that contain copper must be avoided. Copper is one of the biggest enemies for saltwater aquariums. After the conversion, the tank will still cycle. But if the existing filtration, with the bacteria cultures in tact, was used, the tank will complete cycling much faster then a new set-up. Hello I have an 80L Tank that i wish to convert to a fish only marine set up. 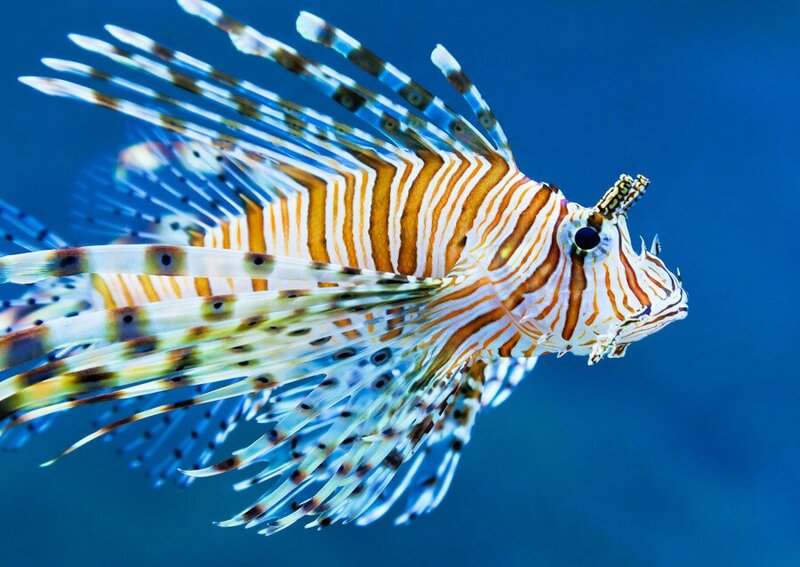 I would like a Lion fish, should i keep this alone or can i add i more species? You can add more species but need to be mindful of their size and nature. 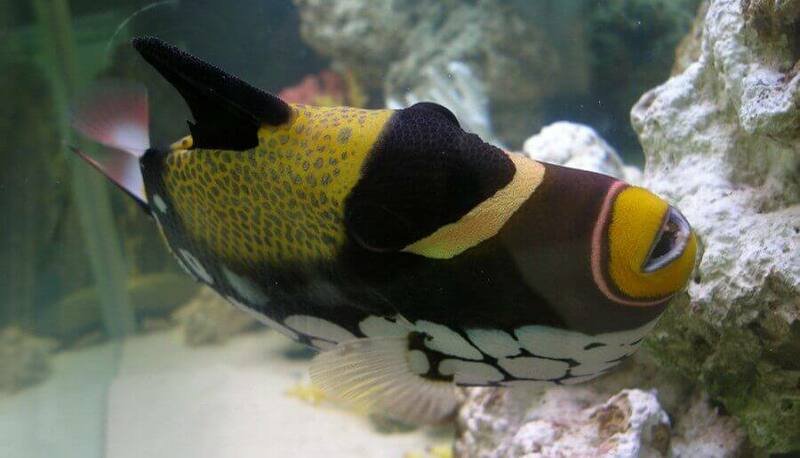 Trigger fish for example would be a good tank mate provided you have adequate space and the trigger is too large to be a meal for the lion fish. 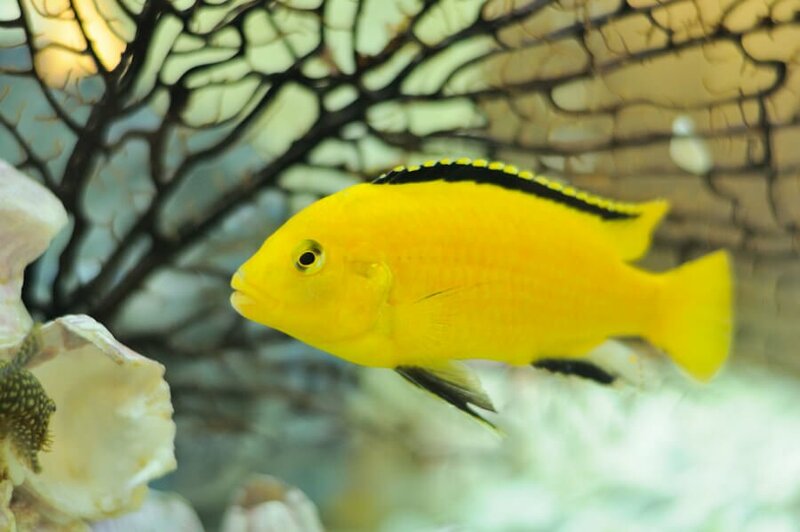 Your best bet is to consult the staff of a quality fish store, specializing in marine and reef aquariums. 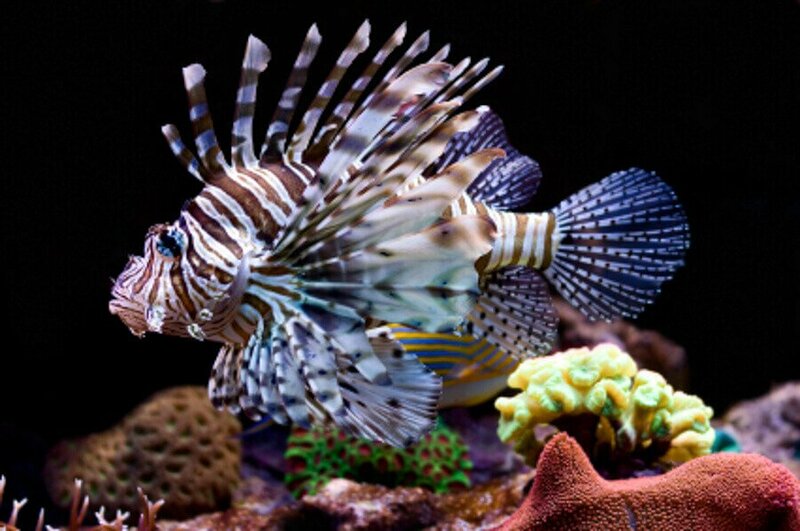 Hi I have a 30 gallon saltwater aquarium with just 1 lion fish in it…. do I still need a protein skimmer? I am not planning to put additional fish in the tank. It’s not a required piece of equipment, it’s just that it is very effective at removing dissolved organic waste before they become a nutrient problem. This is more important for reef tanks with sensitive corals, etc. You should be fine without it as long as you have otherwise good filtration. I have a 75 Gallon freshwater tank and want to change to saltwater, I use a Penguin 350 Bio-Wheel filtration system can this be used for saltwater. My lighting is led with either white or blue light can I use this . It depends on what you’re planning to do. If you are planning a fish only tank, yes, your light is likely adequate. For a reef tank, make sure the light is designed for reef use, as the light output is much higher to meet the lighting needs of corals, polyps, etc. my filtration system then is good for saltwater? Decided to convert my tropical freshwater tank to a marine (Fish no corals). It’s a 180ltr tank with a jewel 3.0 filter containing sponges.Have been told I can keep my filter so long as I take out the sponges and add something else.can u give me more advise on this and anything else for stage by stage setup. You can keep your filter including the sponges, not an issue whatsoever. The conversion is quite simple, just add salt. No, the cover does not need to be removed. The cover prevents too much water from evaporating. A protein skimmer is not needed, but recommended as it filters out impurities that otherwise accumulate. It is a good addition, but not necessary to keep corals in the aquarium. I have a freshwater tank that is already cycled and everything. I had fish in it but have decided to move them to a much bigger tank. So I can’t just add the salt mix to my already cycled tank? Why is that? Do I have to replace all the water that is in my tank or can I do a 50/50 water change and add the salt then? You need to start from scratch to assure the new water chemistry, including pH and water hardness, is suitable for marine fish. 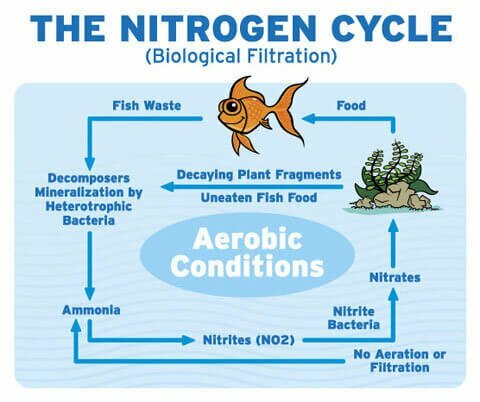 Further, converting from fresh to saltwater will require your tank to cycle again, regardless of the established freshwater nitrifying bacteria. The dying off off your current bacteria after adding salt will likely cause a more severe and toxic cycling process then starting from scratch. With LED lighting for saltwater tanks is it the colors or the intensity that is most beneficial to the fish and coral ? Intensity is more important for saltwater, fish like it brighter. Color, especially the blue, becomes more important if you go reef. I have a 29 gallon freshwater tank haven’t added fish yet but decided I wanted saltwater what do I need to make it so I can do saltwater fish? Technically, all you need is to add salt. A hydrometer is needed to measure the salinity of the water. That pretty much is it unless you venture into reef setups, but with that a bigger tank will be helpful. A reef tank requires different lighting a protein skimmer and more appropriate filter and water circulation. You can always upgrade to a reef after you got started with the saltwater aquarium. Everything should run 24/7 except for the lights. Reef tanks will require more light then fish only tanks. A reef requires up to 8 hours of lighting a day. Do not leave light on around the clock though. This will only result in algae outbreaks. In some cases both color charts are included in the test kit. This of course is not the standard. Some kits are not compatible, contacting the manufacturer is advisable to ensure accurate readings. i am starting my first salt water tank and i need some advice. It is only a ten gallon but i don’t know what type of fish or lighting (thats cheap) i should get. As far as fish is concerned, check with your local store for a good beginners saltwater fish. Cardinals and damsels come to mind. Make sure the fish you choose are compatible and suitable for a small aquarium. Regular aquarium lights will do just fine if you are not planning on doing a reef tank. As a beginner, I would recommend a larger tank tank though. 30 gallons and up are far easier to maintain and offer more space for the fish. I have a up and running 220 gallon freshwater with 2 fluval fx 6s.can I use the existing water and filters after I add the correct amount of salt. I’m not sure there’s a question here, but you could add salt to the water in the tank and make sure you hit your target salinity levels before adding any fish. Otherwise, we always recommend setting up the saltwater before adding it to the tank, this includes water used for water changes. Top off water generally does not need added salt, since the salt is left behind as the water evaporates naturally. 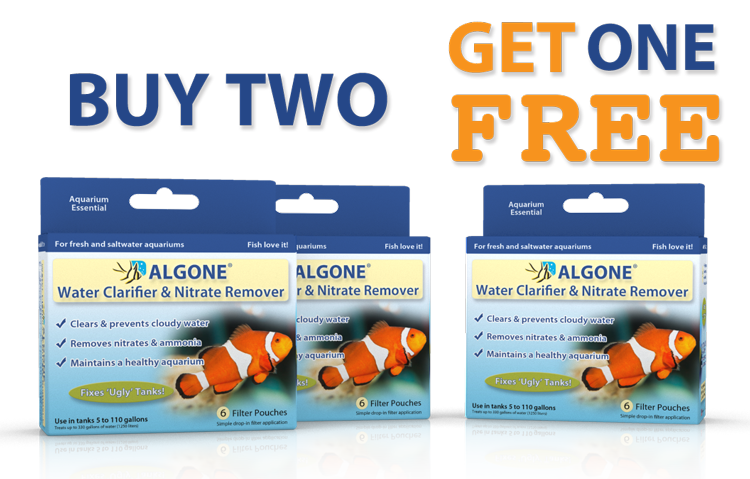 Lastly, we always recommend adding a protein skimmer to any saltwater aquarium. It’s one of the most effective ways to remove dissolved organic waste. Ocean water can be used, but there is always a risk of contamination. Technically, no sump or skimmer is needed for saltwater fish only. These are more for reef aquariums. Light intensity has not much to do with algae, it is more the spectrum of the light. Regular LED light will do fine. With the addition of salt, the aquarium is maintained in a same way as any freshwater setup, this includes water changes. Keep in mind that only pure water evaporates, you will need a hydrometer to check and maintain your salinity levels. So can i just pour the salt in my up and running freshwater and go from there? Technically yes, but you need a certain amount of salt. A hydrometer is needed to determine the correct salinity. This read was extremely helpful as I have a fully functional fresh water tank and bought what I thought was a fresh water only puffer (GSP). I will have to re home my current tank makes but the puffer and the entire tank will slowly go from FW to BW to SW and maintain 75 percent of its original equipment. I’m thankful I found this read. 60 gallon rimless acrylic tank running a 300w heater, a fluval above water filter system and a sponge filter dump to a fluval 305 canister filter filtration system. At this time I have a rock sediment and basic decorations for the 8 fish maintained. In said tank. Feel free to ask questions as I like to do research. I am thinking about converting a 20 gal long aquarium into a saltwater aq. I was planning to only have a small octopus and a few annemonies if possible. I have an Aqueon QuietFlow 20 filter and just a standard heater. Any advice or recommendations are greatly appreciated, as I have never had a saltwater aquarium. I’m planning to convert my 55g freshwater tank to a saltwater setup: thinking clowns, a few smaller angels, some inverts and cleaner crews but no corals. My current tank has an inexpensive Tetra Whisper filter system on it. I can’t imagine that will hold up well enough for marine life so any recommendations on a replacement? Check out our article about salinity and specific gravity for saltwater aquariums. Any pet store selling saltwater products will have the salt you need to get started. Here’s an article on some basics about keeping seahorses in the aquarium.